Sculpture Size: 6 X 5.5 X 10.75 in. Special Artist Proof edition of Tim's handsome look-out frog. Only 100 AP's have been created, making this a rare and collectible sculpture. This cheeky nocturnal frog has climbed the highest branch to see what's up. Beautiful jade green patina contrasted with a darker branch. 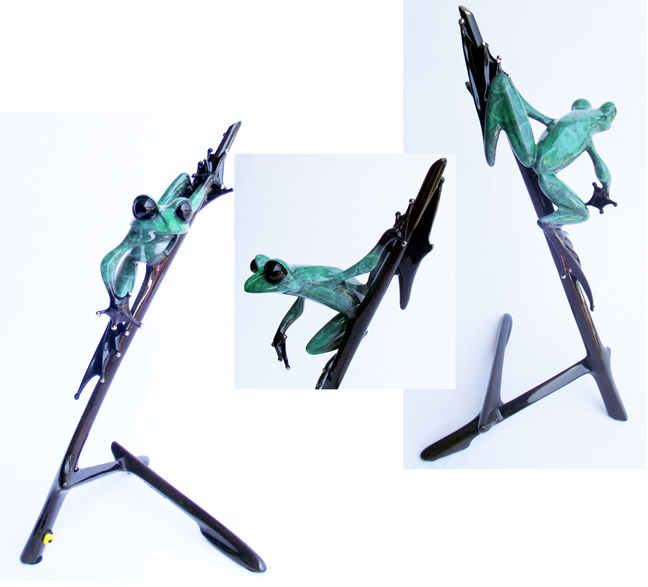 Collectors will recognize the variegated emerald color from early 90's Frogman sculptures--making "I-Spy" a great collectible, and a handsome addition to your home environment. Put him somewhere he can keep an eye on things for you!